The original inhabitants of Rwanda were the Twa, a Pygmy people who now make up only 1% of the population. While the Hutu and Tutsi are often considered to be two separate ethnic groups, scholars point out that they speak the same language, have a history of intermarriage, and share many cultural characteristics. Traditionally, the differences between the two groups were occupational rather than ethnic. Communities specialized in agriculture were considered Hutu, whereas cattle rearing communities were identified as Tutsi. The Tutsi people were tall and thin, whereas the Hutu people were short and square, but it is often impossible to tell one from the other. And intermarriages are changing their appearance. The 1933 requirement by the Belgians that everyone carry an identity card indicating tribal ethnicity as Tutsi or Hutu enhanced the distinction. Since independence, repeated violence in both Rwanda and Burundi has increased ethnic differentiation between the groups. Rwanda, which became a part of German East Africa in 1890, was first visited by European explorers in 1854. During World War I, it was occupied in 1916 by Belgian troops. After the war, it became a Belgian League of Nations mandate, along with Burundi, under the name of Ruanda-Urundi. The mandate was made a UN trust territory in 1946. Until the Belgian Congo achieved independence in 1960, Rwanda-Urundi was administered as part of that colony. Belgium in the beginning maintained Tutsi dominance but at last they encouraged sharing of power between Hutu and Tutsi. Ethnic tensions led to civil war, forcing many Tutsi into exile. By the time The republic of Rwanda got its Independence in 1962 / July / 1st, it was the Hutu ruling. Le Parc National Des Volcans, famously known for gorilla safaris in Rwanda was first gazetted in 192 5, as a small area bounded by Visoke, Mikeno and Karisimbi Volcanoes. 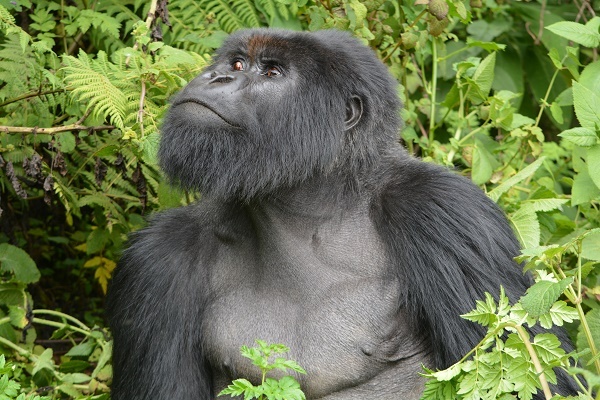 The major objective was to to protect the endangered mountain gorillas from poaching. It was the very first National Park to be created in Africa. There are many tourist activities to be enjoyed in this area apart from gorillas trekking in the Volcanoes National Park. This area is home to numerous caves, a number of Cultural and Community Tourism initiates as well as being an excellent location for bird watching. The other activities include golden monkey tracking, adventurous hike to the tombs of the late Dian Fossey and mountain hiking adventures. For the sport enthusiast there are a number of hiking trails in the majestic Virunga Mountains or you can enjoy cycling the area, boating on the Twin lakes or even try your hand at fishing. Development is proposed of further extreme sports in the area, such as mountain climbing. The Mountain Gorillas survive thanks to Dian Fossey, a researcher who was buried at her research center alongside these mountain gorillas to which she dedicated her life. The trail leading to her tomb and Karisoke Research Center is a beautiful yet challenging 1 hour 45 minute hike up steep slopes where orchids, bird life and even occasional mountain gorillas can be seen. Discover Rwanda, the country of a thousand hills with Jungle Safaris Uganda, the Number one tour company based in Kigali and Kampala. Nyungwe National Park located in south western Rwanda inhabits 13 primate species that include Chimpanzees, Grey Cheeked Mangabeys, Black and White Colobus Monkeys, Vervet Monkeys, Red Tailed Monkeys, Blue Monkeys, L’Hoest’s Monkeys and Baboons among others. Only Chimpanzees and colobus monkeys habituated for tourism purposes. Primate tracking, bird watching, Community tours, Forest walks / hikes, canopy walk and tea harvesting are the major tourist attraction in Nyungwe National park today. Akagera National Park located in Eastern Rwanda hosts many wild animals such as Zebras, Oribis, Masai Giraffes, Elephants, Buffaloes and Lions that have been re-introduced from South Africa. In addition to the tourism destinations about, Rwanda people are very friendly, welcoming with unique cultures. Once you visit Rwanda, you can get a chance to participate in daily activities with local people such as harvesting, local beer brewing from bananas, milking, dancing and singing while wearing traditionally in “Umushanana”. Following the 1994 genocide, many places were gazetted into genocide memorial museums and these attract many tourists from different parts of the world. Among the genocide sites include Gisozi in Kigali, Bissesero, Murambi, Nyamata and Ntarama genocide museums among others.